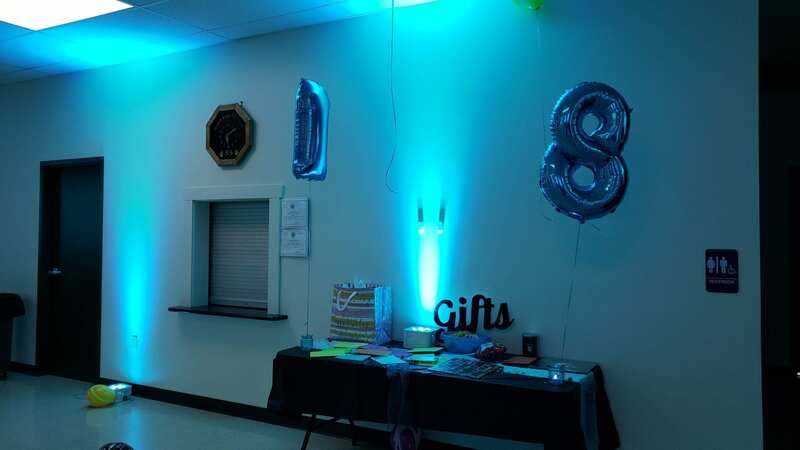 We had such a fun night celebrating Melissa’s Birthday party at Wind Gap Fire Department on Saturday. 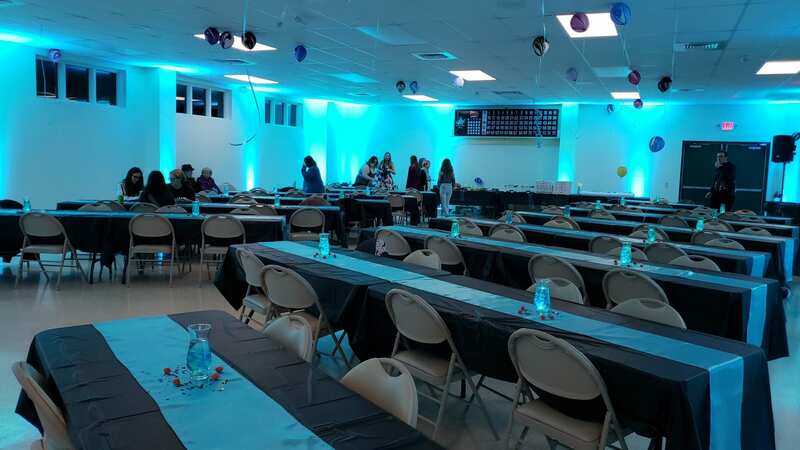 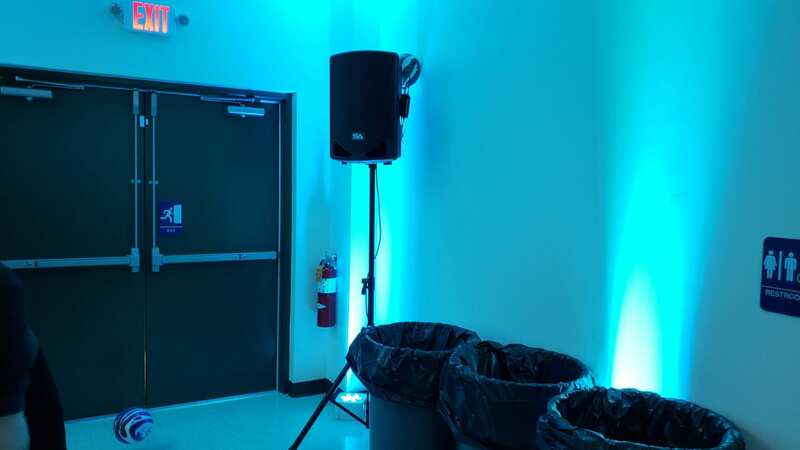 The party began with guests making their way into the hall, enjoying the cyan uplighting filling the venue with color! 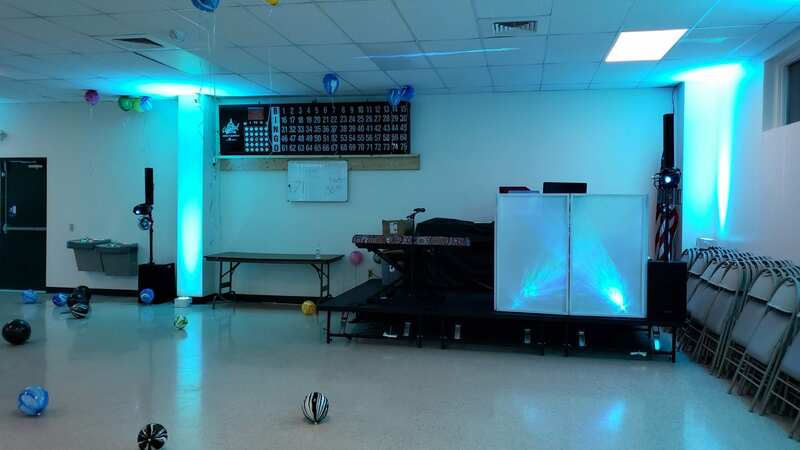 The fun centerpieces Melissa and her friends put together using orbeez and Led lights looked fun! 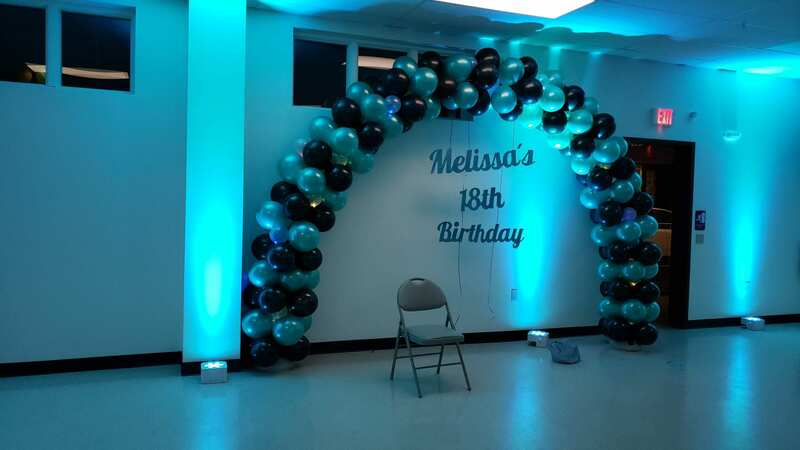 A super cool balloon arch was provided for Melissa and her friends to snap some photos with. 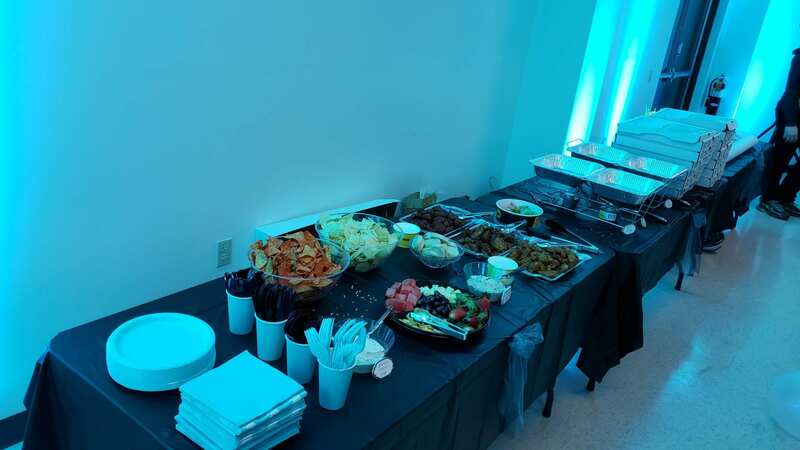 For dinner the guests enjoyed a pizza and wing buffet. 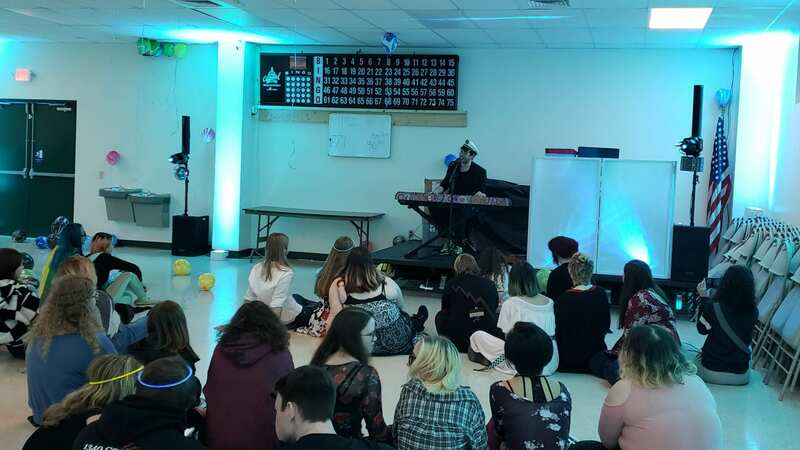 Opening up the party was Will Wood and the Tapeworms, providing a keyboard and some adult show tunes for the kids to enjoy! 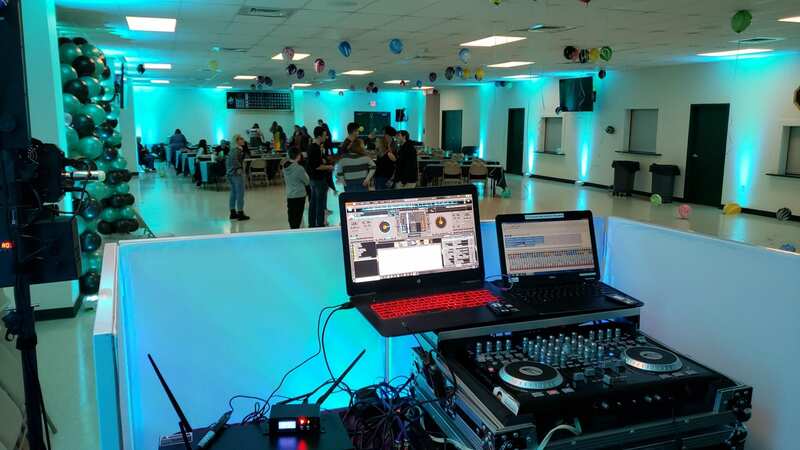 Rockin’ Ramaley provided the sound and ambient lighting to go along with the music! 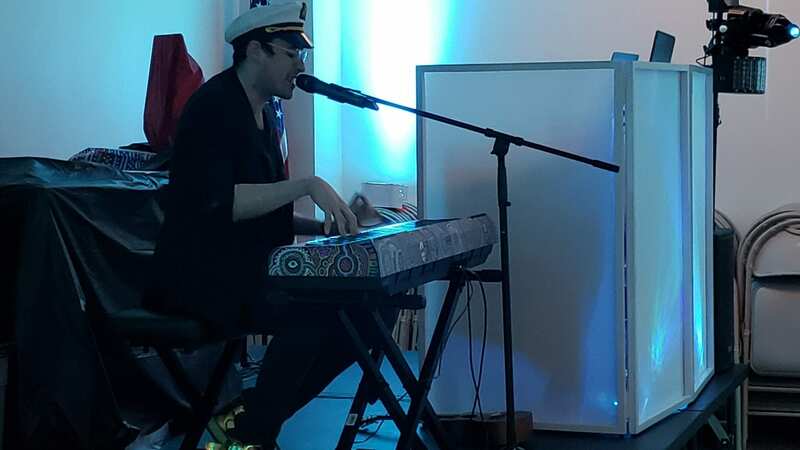 To hear some of his music Click Here! 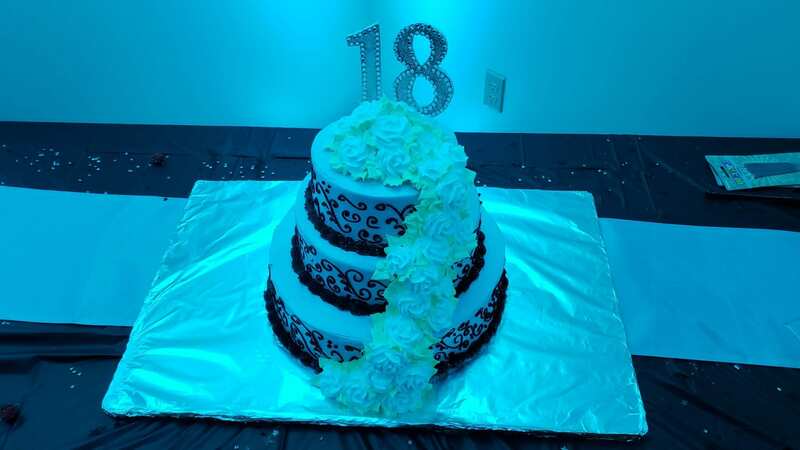 After a superb performance from Will Wood, it was time to cut the awesome detailed cake for Melissa. 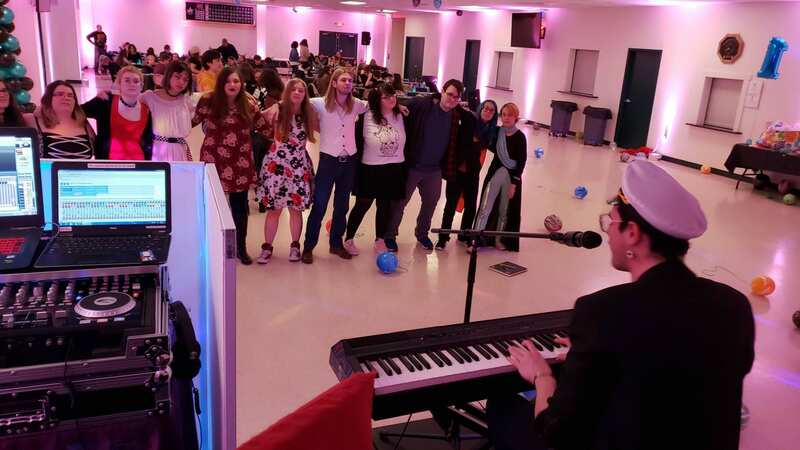 Then it was time to party with a variety of music for open dancing. 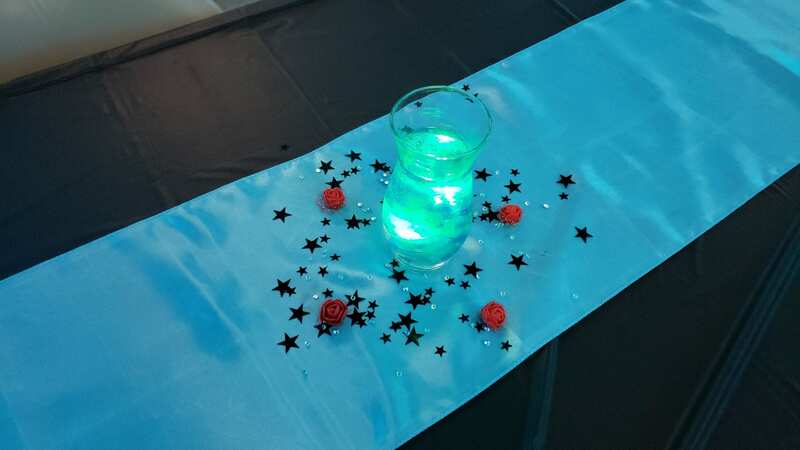 The guests enjoyed a variety of props including cowboy hats for cotton eye joe, glow sticks, and LED foam sticks. 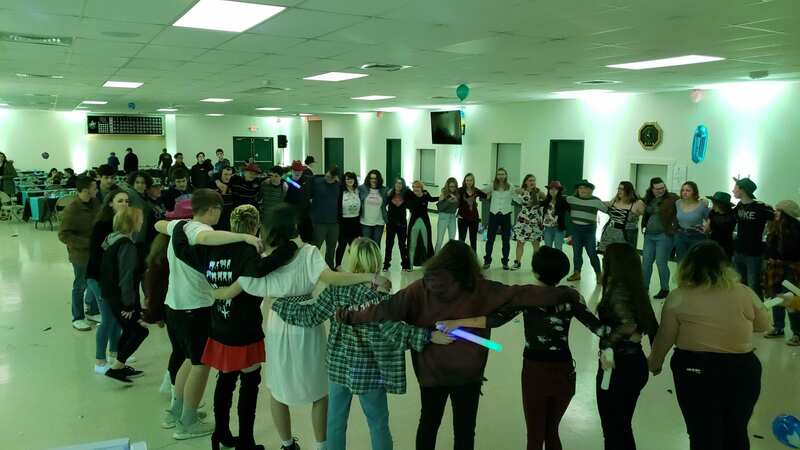 At the end of the celebration everyone joined Melissa on the dancefloor in a big circle and belted out the lyrics to John Denver’s Country roads.